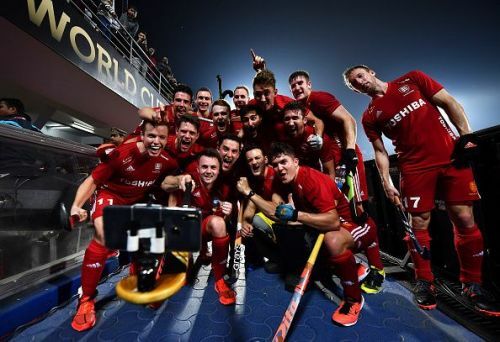 Olympic champions Argentina suffered a major setback as they were crashed out of the 2018 Hockey World Cup on Wednesday. Los Leones were defeated by England by a 2-3 margin at the Kalinga Stadium in Bhubaneswar. It was certainly a bad day in the office for Argentina, who bowed down under extreme pressure from a team ranked five places below them. The World No. 2 team now need to go back to the drawing board to analyze what went wrong. After a goalless first half, Gonzalo Peillat gave Argentina the lead early in the second quarter. England got the equaliser after some minutes thorough Barry Middleton. 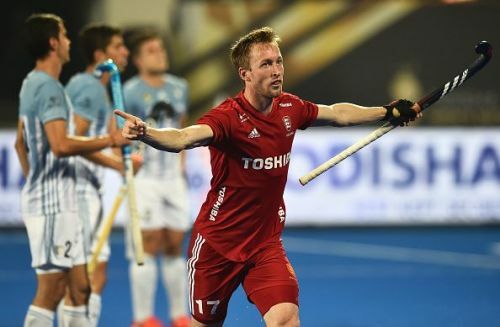 Will Calnan gave England the lead and once again Peillat came to his team’s rescue with another goal from a penalty corner. Finally in the last quarter, Harry Martin scored the winning goal to throw Argentina out of the tournament. Let us look at the three reasons why Argentina lost the match against England. Going to every match, Argentina always sit back and try to understand the moves of their opponent. The tradition was started by their previous coach Carlos Retegui and is continued by current coach German Orozco. The formula is often criticized by the coaches but Orozco is adamant of using it. Against England, they followed the same strategy. The first quarter was a drab performance from them as Argentina have not made single circle penetration. The defenders were looking solid in the first half. Every time an England player tried to reach the circle, any of the two or three Argentine defenders lurking around the Englishmen stole the ball. They made good tackles as England struggled to get past them. Just before the end of the first half, England scored through Barry Middleton. Argentina finally succumbed to individual excellence of Liam Ansell and with the goal, the floodgates were open. Defenders were looking clueless amid relentless attacks from English players and as the match went on, their confidence dropped drastically. England cleverly used the opportunity to put past two more goals, which ensured them a place in the semi-finals. The Argentine defenders, who produced an impressive performance so far, showed signs of fatigue in their match against France. Against England, they just couldn’t resist it. All the three goals came due to a mistake from their defenders. Lucas Vila, Pedro Ibarra, Lucas Rossi all should take responsibility for the loss.